How SEO and SEM Work Together To Deliver Results! 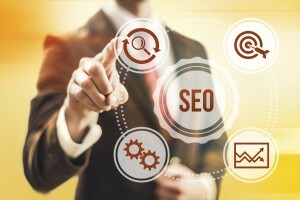 - Wood Street, Inc.
Have you ever wondered what the difference is between SEO (search engine optimization) and SEM (search engine marketing)? Or are they the same thing??? The truth is that, while they are different, they both play very similar roles sharing one common goal… to bring website users to your site. Search engine optimization focuses on the code of the website through the use of ALT tags, page and link titles and much more. The goal of SEO is to attract users organically – without paying for it. Search engines crawl thousands of websites every day using little spiders and robots. No, seriously. The search engines then display results that they think are authoritative and relevant based on the user’s search and the sites they’ve crawled and indexed. How do they measure these results? The search engines look at the quality of your website in terms of code and usability. They also review the content on your website to determine if there is a match with the user’s intent. In order to make sure that the quality of your content matches the search intent of the user, make sure you’ve done your keyword research. This is the first and (in my opinion) most important step in your SEO campaign. If you do not have the type of content your audience is looking for, you are not going to get found online. Don’t just decide that you are going to write about a topic because you think it’s interesting. Make sure other people are searching for that topic online as well. Another important aspect of SEO is link building. In the early days of SEO, spammers used to get away with poor linking and tricked a lot of users into clicking something that wasn’t relevant to the users search in any way. The days of that are over as Google continues to roll out Panda and Penguin algorithms designed to cut out the spam. The tool we prefer for link building is through social media outreach. Promoting your content through Facebook, Twitter, Google + and other social sites is the best way to get your content noticed by others. If someone reads your blog and finds it interesting and useful, there is a good chance that person may link back to your blog when discussing a similar topic on their website. Thus building natural links that Google loves to see leading back to your website. Search engine marketing has a little SEO involved with it. Content writers are creating blogs and other types of website content to attract users to a website. With SEM, online marketers are using a variety of techniques to proactively market that content. Most notably through paid advertising. 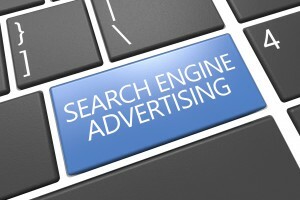 Various paid advertising techniques include Google Adwords, Facebook ads, Twitter ads, YouTube ads, and many more. How much do these SEM techniques cost? It depends. You set your daily budget limit and you pay based on the amount of clicks your ads receive. Much like SEO, successful SEM ads will be shown at the top to users who are looking for your specific product or service based on a keyword match. How do you get your ad to be shown first or at least close to the top? Let’s take a look at Google Adwords, the most popular PPC technique. Google ranks your ad based on the amount spent for the particular targeted keyword and the overall quality score of that ad. How do you determine your quality score? The quality score is determined by an estimate of the quality of your ads and landing pages triggered by the keyword that is being search. You can learn more about Google’s quality score here. So How Does SEO and SEM Actually Work Together? When done correctly the two complement one another extremely well. Your SEO efforts are for gaining organic listings. SEM helps you create a more effective and targeted advertising campaign that helps your website get found for the words you don’t rank for organically. When working together, SEO and SEM are stronger than either would be working individually. The important factor to remember is that both are only as good as the website is that is being marketed. If the website does not provide the quality that Google thinks users are looking for then all of your SEO and SEM efforts will go unnoticed and cause you a severe amount of frustration. Start with a website your users will love and then market and optimize from there. Nick is the Digital Marketing Specialist for Wood Street. Wood Street offers Adword, Content Marketing and other SEM/SEO services. Contact us today for better SEO/SEM results! We’ve Got a Website, Who Needs Sales? SEO: Content is King! Context is the Key to the Kingdom!